We’re beginning to see Roscoe’s beauty shine. My what a difference a medicated bath, good food and a little TLC make. His vet appointment for the big stuff is next week – neuter, bilateral entropian, wound checks, all vaccines, etc. Roscoe is an absolute sweetheart – Kissy, friendly, just all around sweet. Roscoe is a blue brush coat, is just over 2 years old and approx 40-45 lbs. He appears to be dog friendly as well. 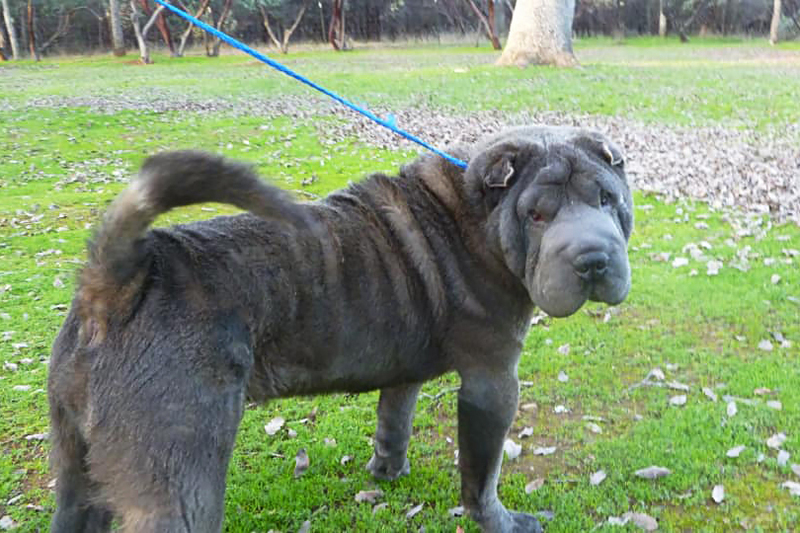 © 2019 Copyright California Shar-Pei Rescue. All rights reserved.